It’s funny (and rare) to behold a Q&A during which one half of the group being interviewed expresses repeated and vocal dismay about the questions being asked. Such is the case with Marisa Guthrie’s Hollywood Reporter conversation with returning Golden Globes hosts Tina Fey and Amy Poehler. From there, Poehler seems to have decided that a more painless course of action was simply to refuse to answer any objectionable questions. She takes a firm pass on two entreaties, one of which involves the remedied absence of a female black performer on SNL. Read the full Q&A here. P.S. 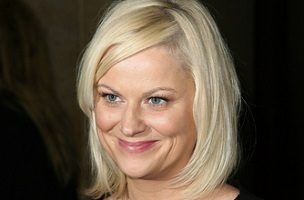 At press time, a majority of article commenters were siding with Poehler.